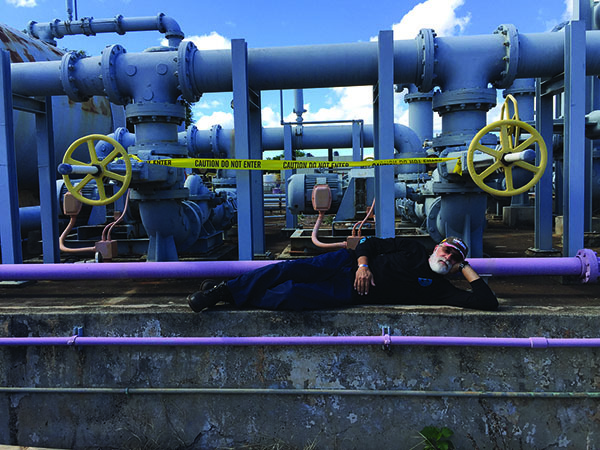 “Abandoned in Place” displays and documents one of Honouliuli WWTP’s historical processes not in use and is awaiting design consultation. 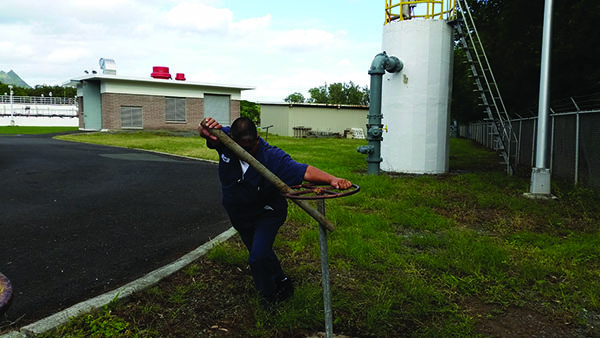 WWTP effluent being routed to the receiving waters could be further treated to improve its quality here in this historical Chlorination and Reuse section. 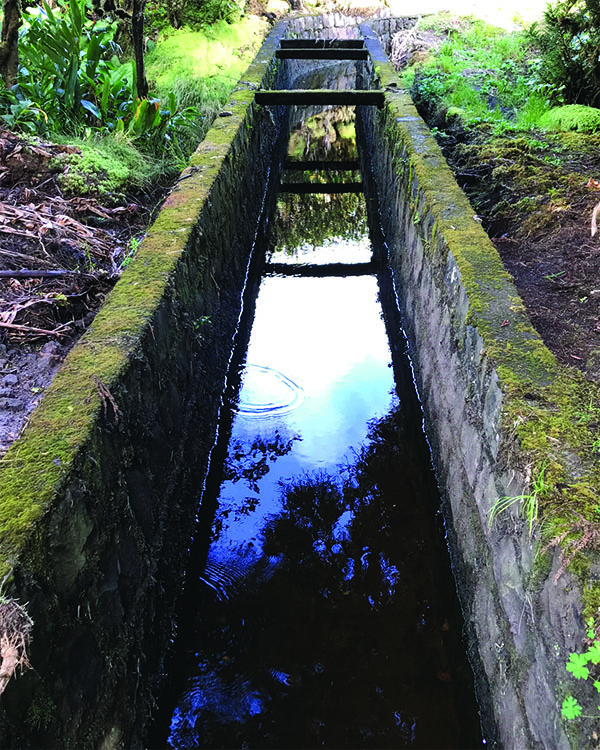 Hugging the edge of the Waipio Valley for much of its length, traversing across ome of the most remote areas on the Big Island, and now mostly accessible only by foot or helicopter, the Upper Hamakua Ditch stands as a testament to the resourcefulness and determination of the water engineers of the last century. 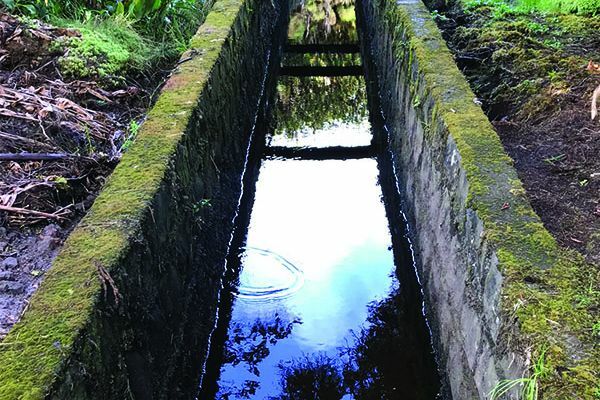 Completed in 1907 and originally able to deliver 15 MGD of water to the sugar plantations along the Hamakua Coast, the ditch has for more than a century weathered hurricanes, and earthquakes, and finally the elimination of the industry for which is was built. 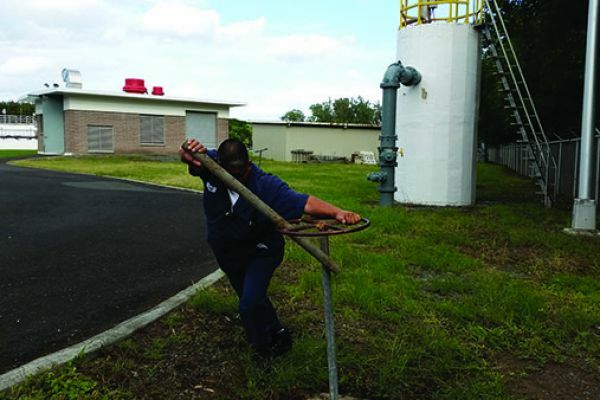 The photo depicts the degradation of the sand filter building and equipment caused by years of neglect. 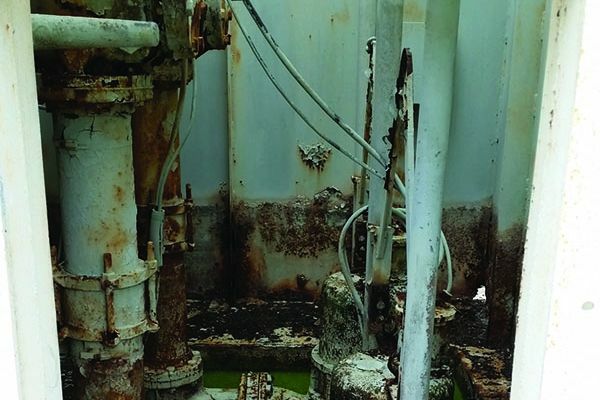 Treatment plant facilities and equipment must be regularly maintained in order to prevent or mitigate against sudden failures in addition to prolonging equipment life. The relatively low height of the aeration tank walls allow a person to get up close and personal to the mixed liquor. Closer examination of the mixed liquor will reveal a myriad of items that the general public should not be flushing down their toilets. Such an item is an adult water balloon leisurely floating just below the water surface until it comes into contact with the mechanical surface aerator. 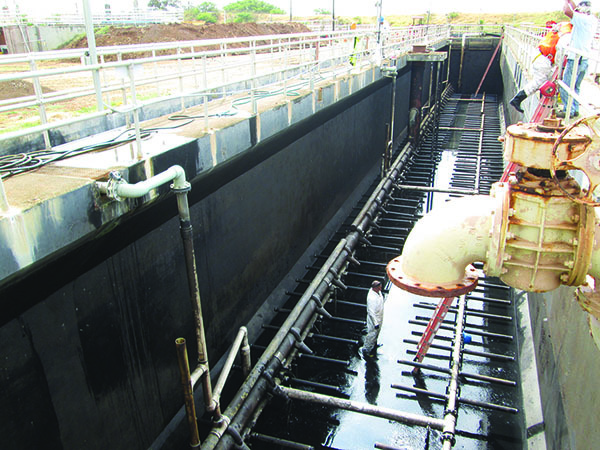 The aerators infuse the mixed liquor with rich oxygen in order to excite the microorganisms that reside within it. 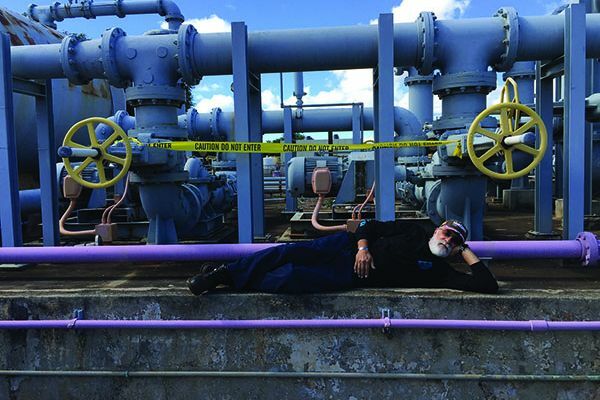 I snapped this photo while performing work stop a sludge storage tank. 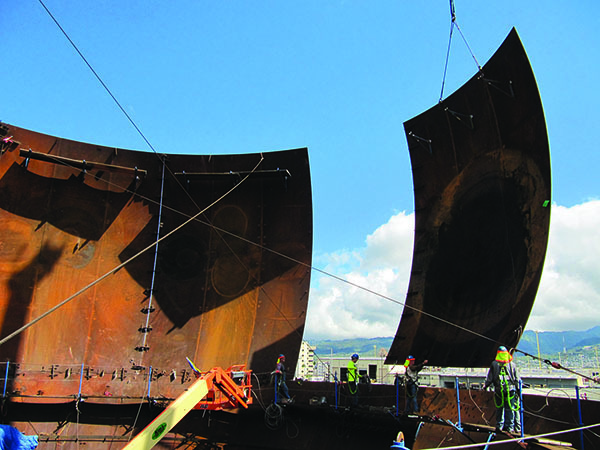 The picture captures the construction of the second egg shaped digester at Sand Island WWTP. 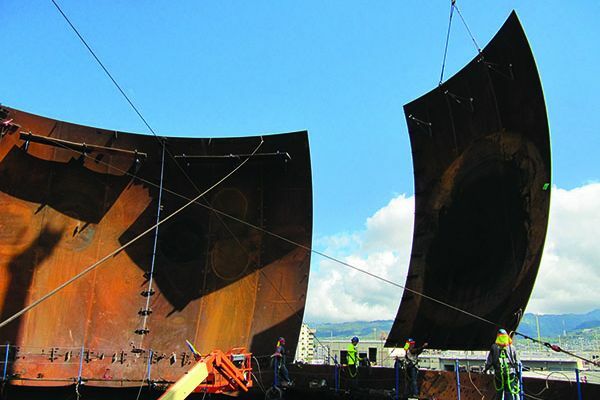 The sections are all fabricated on the ground hoisted and then welded into place. 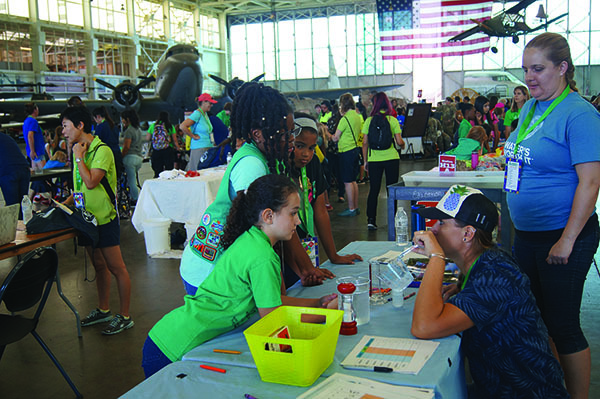 Audrey Haerle and Shantelle Clark talk to Daisies and Brownies at the 2017 Girl Scout STEM Fest at the Pacific Aviation Museum. They emphasized the scarcity of our fresh water resources and the need to conserve/preserve them for future generations. 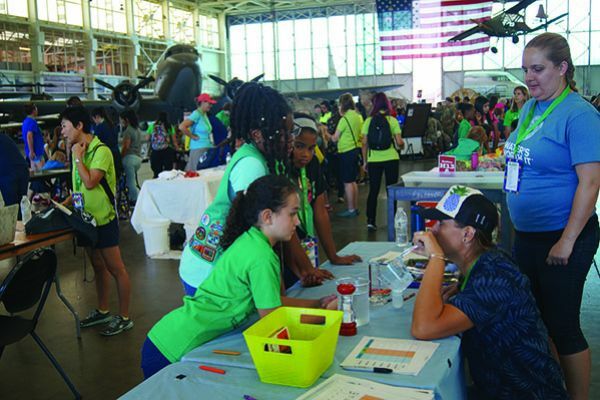 Public outreach is part of the unwritten job description for all affiliated with the water/wastewater industry. 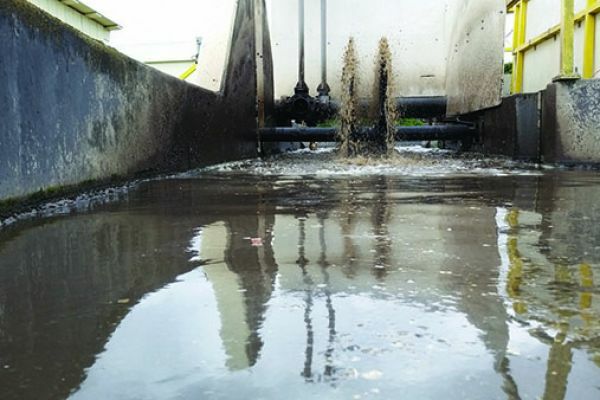 Aeration tanks are essential components in many wastewater treatment plants. This was taken in a rare opportunity during cleaning of the tank and air diffusers. 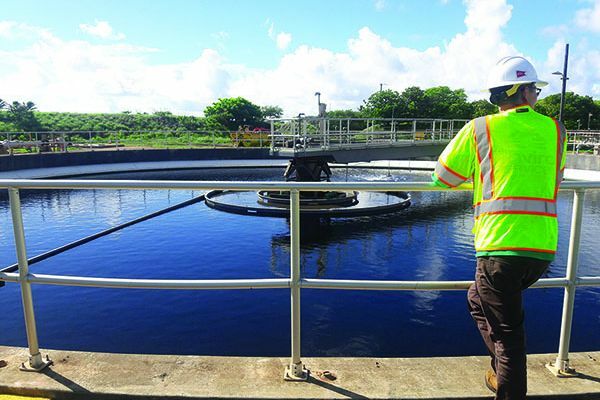 The scale of the workers in the photo illustrates only a glimpse in the magnitude of maintaining large wastewater structures. The photo depicts a field technique that can be described using engineering concepts. 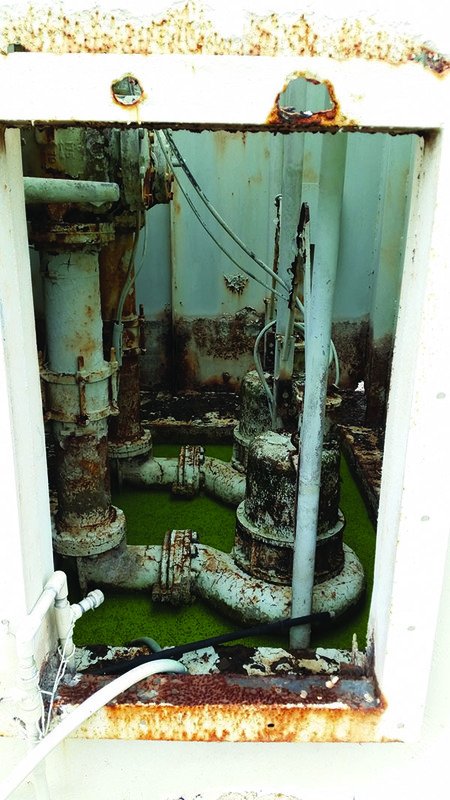 Jon’s task is to close a “beast” of a flow control valve that is rusted. The “beauty” in his effort is that he is able to generate an incredible amount of torque with asistance from a steel pipe. His yoga sessions affords him the flexibility to maintain the proper body form while his body weight, plant foot angle and City issued work boots exert enough resisting force to overcome the ground slipping force. 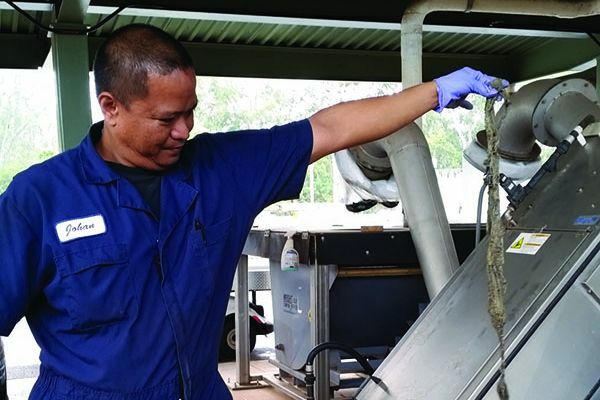 The photo shows Johan holding up a composite piece of rag that was formed in the influent wet well. 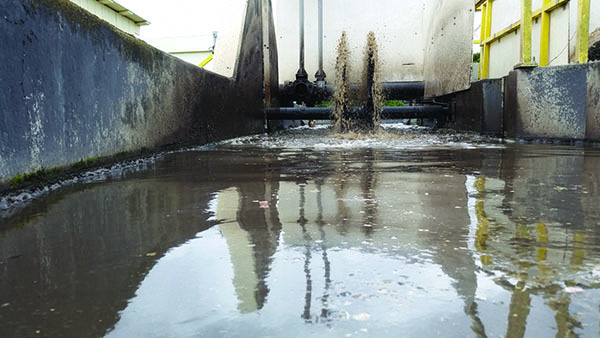 When combined with fat, oil and grease (FOG), disposable wipes and hair form rag balls that create ongoing problems at pump stations and treatment plants. 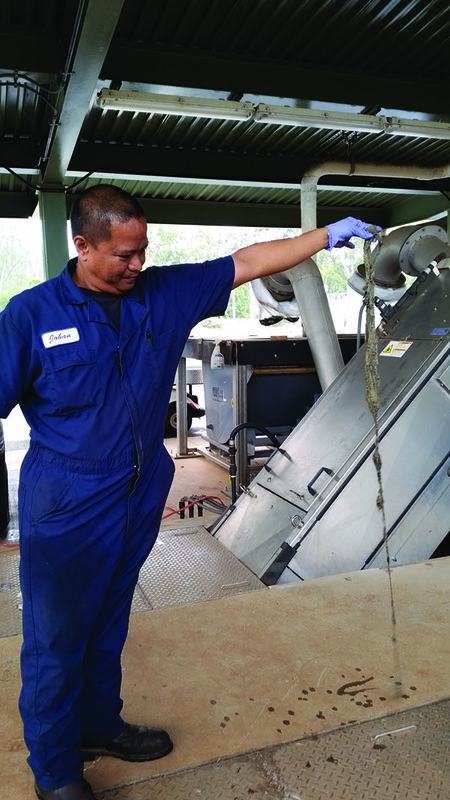 At Wahiawa WWTP, plant personnel have to manually pull rags from the influent pumps when the situation gets crappy. 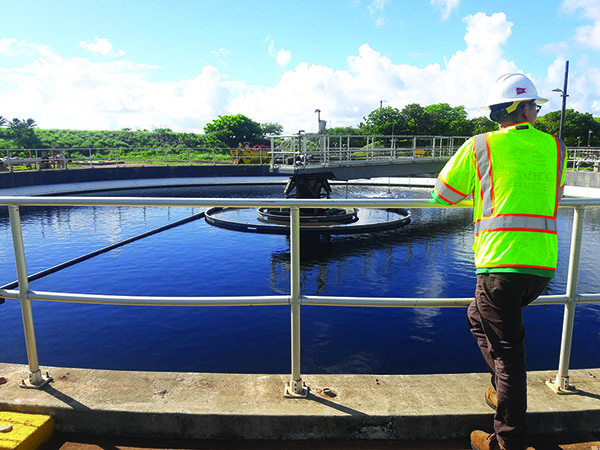 A serene moment is captured during a routine stormwater inspection as the plant superintendent is interviewed off-frame. 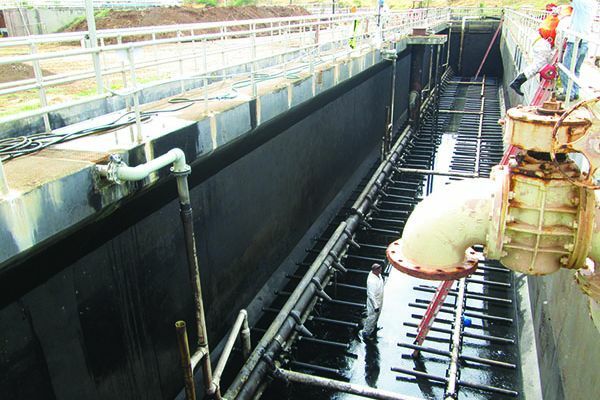 Gentle ripples in the clarifying tank are segmented by the industrial railings. The sky spans the background like a painting, and the hard concrete ledge in the foreground strikes a contrast to the soft clouds. The man-made structure may seem large, but the sky’s subtle reflection reminds us of the power of the water cycle and that nature will always be bigger than us.